Home » Professionals » Roxane Polak, Ph.D.
Roxane Polak has been in private practice for over 30 years helping couples and families communicate more effectively, resolve conflicts, create parenting plans, and transition into a successful post-divorce family. She is a Board member of the New York Association for Collaborative Professionals and is co-chair of the Training Committee. Dr. Polak teaches an interdisciplinary course in Collaborative Family Practice at Hofstra Law School. She has been an allied staff member at North Shore-LIJ Hospital in Manhasset since 1996 in the Child and Adolescent Department of Psychiatry. A licensed psychologist, she has worked with many divorcing couples as a family specialist, child specialist, parent coordinator, and mediator. Dr. Polak has taught graduate courses in psychology at Sarah Lawrence College, undergraduate and graduate psychology courses at Hofstra University, and continuing education courses in child and adolescent psychology at SUNY Purchase. 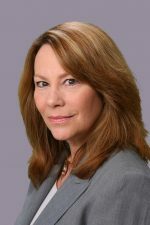 Her presentations have included workshops at the New York State Psychological Association and lectures to the Inns of Court Matrimonial Bar and the New York Association of Collaborative Professionals. Dr. Polak has experience with children who have special needs, and has dealt extensively with life transitions entailing stress, anxiety, depression, grief and bereavement.